Today is World AIDS Vaccine Day. To mark the occasion there is an International Hu Jia Day of Action on May 18th to remember our friend who remains in a Chinese prison for defending the right to free speech and supporting those infected with HIV/AIDS/hepatitis in China. Hu Jia is serving a prison sentence of three and a half years for “inciting subversion of state authority” related to articles he wrote criticising the authorities. Zeng Jinyan his wife works with those infected with HIV/AIDS and she and their two year old daughter remain under close surveillance in Beijing. 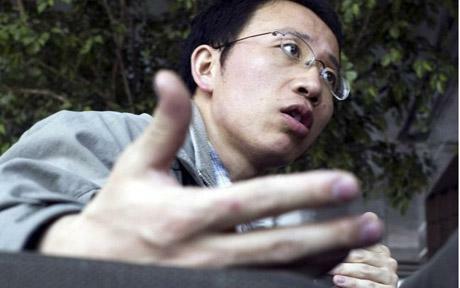 Hu Jia was nominated for the Nobel Peace Prize and was awarded the Sakharov Prize 2008 for Freedom of Thought. Friends of Hu Jia will be taking action today to show that he is not forgotten. Carol Grayson was awarded the Economic and Social Research Council Michael Young Prize 2009 and campaigns globally for haemophiliacs infected with HIV/AIDS/hepatitis through contaminated blood. If there authentic to the core, its refreshing to see someone has the gumption to print facts on atrocities created by us/the west, along with their propaganda. Maybe 98% of the media kowtow to governments; while they and most do reside in the ‘Hotel California’.